This album purely signifies the raw ambition and drive of the multitalented independent artist distilled down to a crystal of it's most basic form. 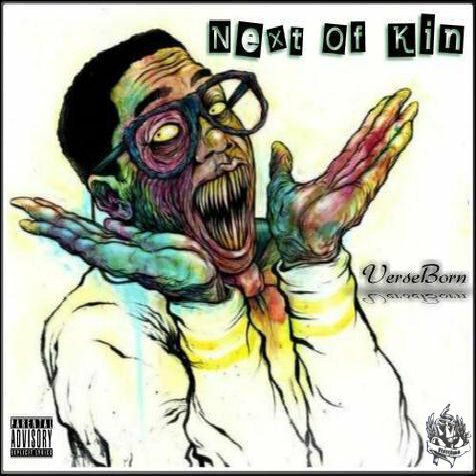 Chosing dope production and clever rhymes over mainstream, mass-marketed, and big budget commercial brainwashing, the NEXT OF KIN EP is nothing short of genuine and relentlessly honest. Despite having an underground cultish following with KONQUEST, 'Next Of Kin' is VerseBorn's first solo EP. It explores the innermost thoughts of a hustler living a tumultuous life while coming of age in San Francisco, Ca and beyond. He paints a vivid and realistic picture of his life and surroundings, effortlessly weaving in and out of topics as diverse as civic pride and gentrification, relationship politics, self-imposed pressure and expectations, marijuana escapism and much more. The album is based around the concept of each experience, struggle, and lesson that each individual learns in their life.